The difference between something that is home-made and hand-crafted lays in the small details and finishing. 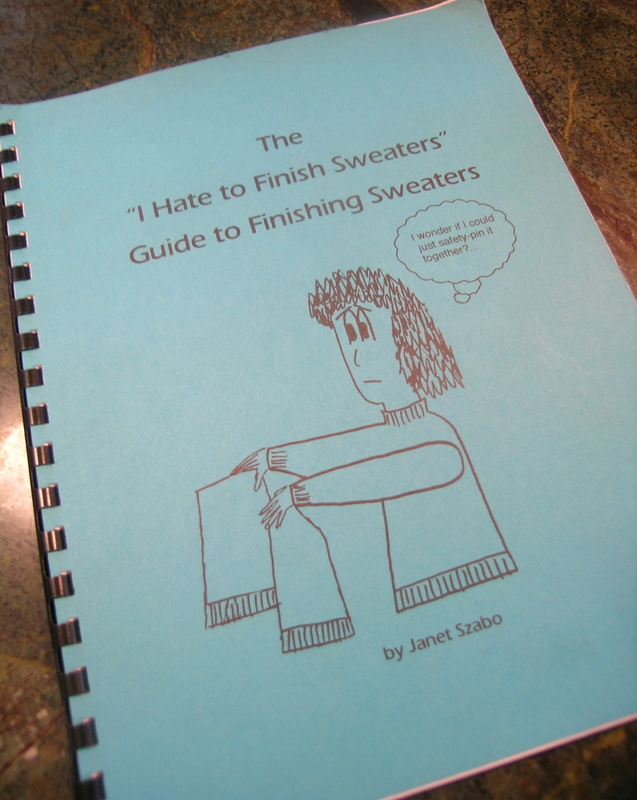 Years ago I took a class where we used a self-published book by Janet Szabo called The “I Hate to Finish Sweaters” Guide to Finishing Sweaters. A quick Amazon search showed that this is still available. My favorite chapter is #1, Finishing Before You Start. I think that is the key to a really well-crafted article. Read the pattern, and look where improvements can be made, how it is seamed up, how increases are done. Most patterns lend themselves to some type of improvement, it simply requires reading the pattern through and thinking about the construction. 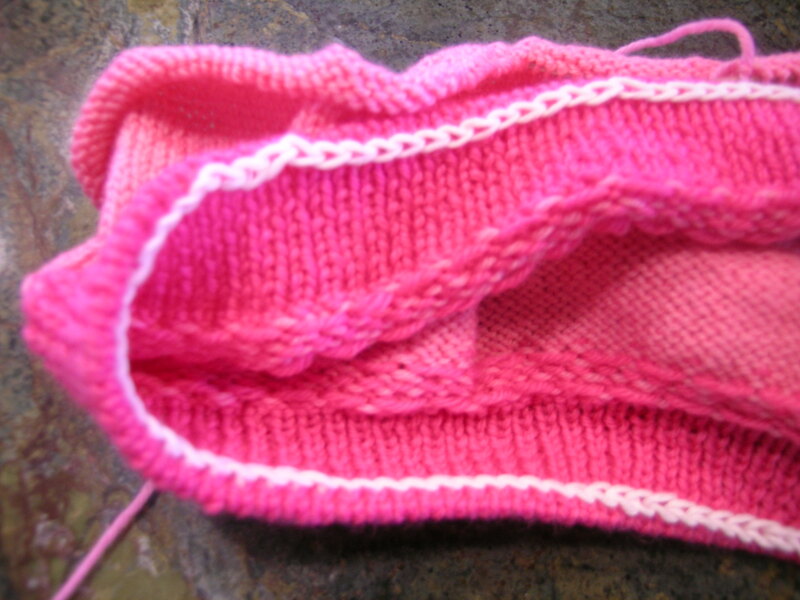 My favorite improvement to make is to do a tubular cast-on for the ribbing at the bottom and the cuffs (or a tubular bind-off if working top down). It gives a very elastic, smooth edge. 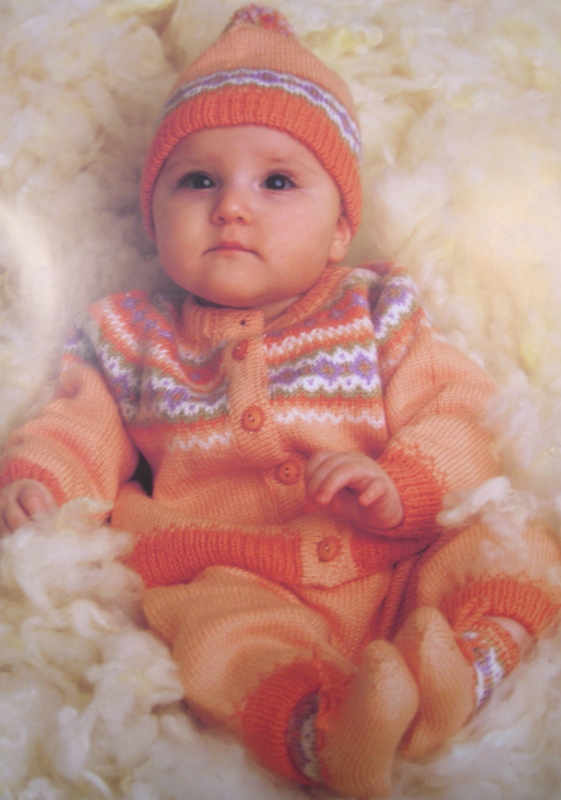 I remember the first time that I saw this used on a finished garment, I was biting at the bit to learn the technique, as it looked like the ribbing on a commercial garment, with a smooth rounded over edge. To learn how I do my tubular cast-on, read this previous post. 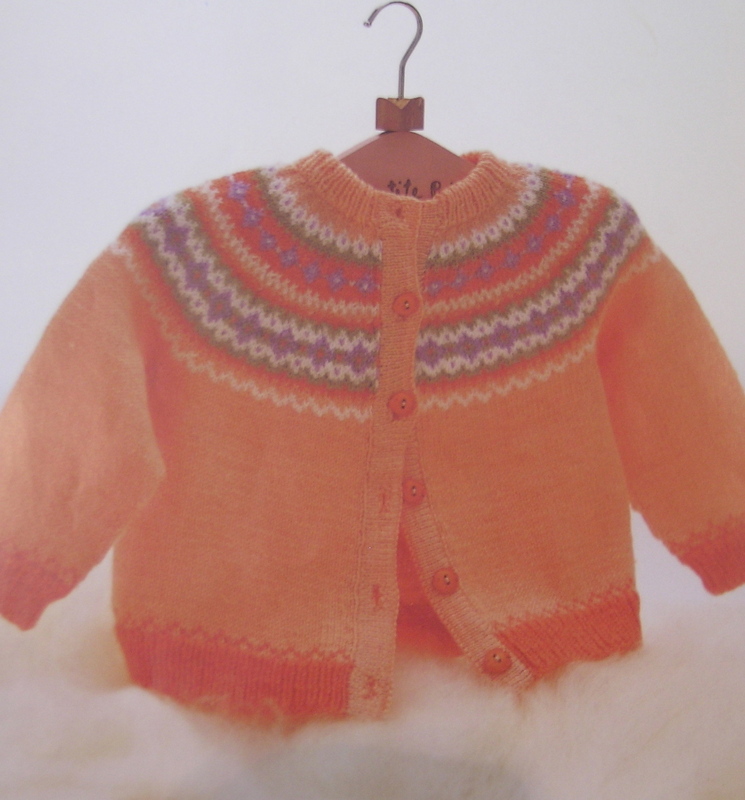 This is a new baby sweater that I am making, using one of my Dale of Norway patterns, and my favorite baby yarn, Baby Ull by Dale of Norway. 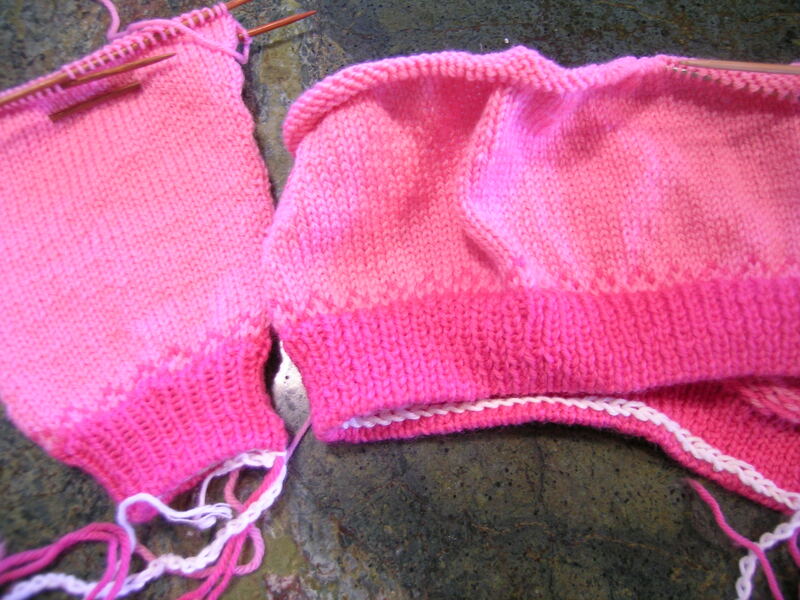 I have the bottom of the body and one sleeve started. 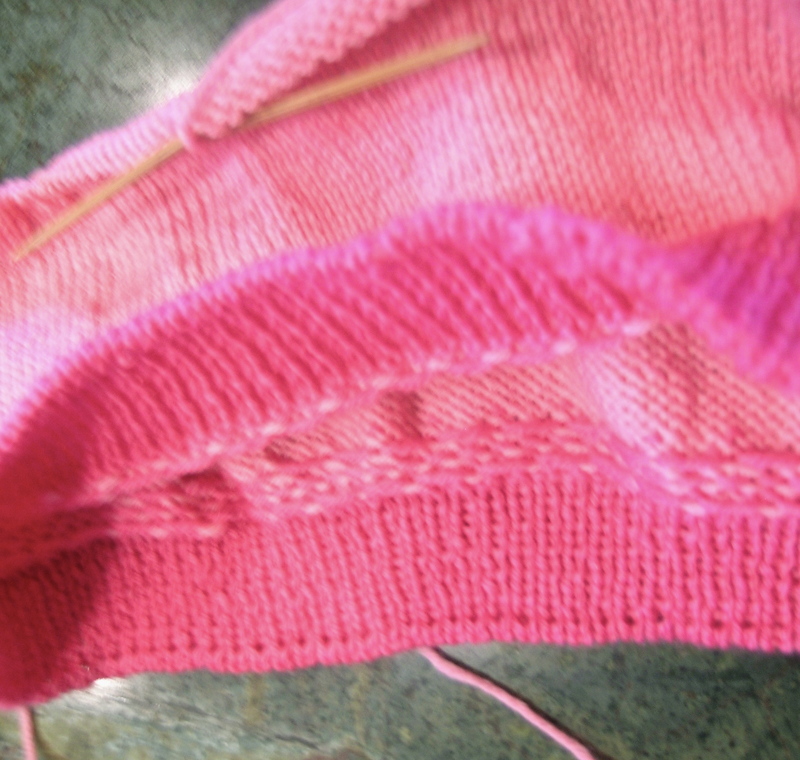 The interesting color-work comes at the yoke, so it is a lot of plain knitting right now, which works great for playing Scrabble, watching my new Modern Family DVD’s that my daughter got me for Christmas, or late night after-wine knitting.